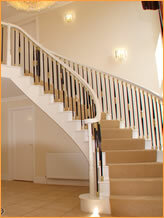 Custom designed and hand fabricted staircases & spiral staircases..
Security grills and gates, designed, manufactured & installed.. 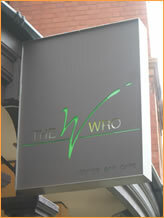 Custom made gates and railings are our specialty. 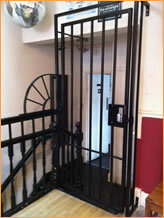 We have been designing and hand making bespoke gates and railings for in excess of 25 years. With many happy clients across Wirral, Merseyside and Cheshire you can trust Munique Gates & Railings to deliver you truly inspired gates and railings. 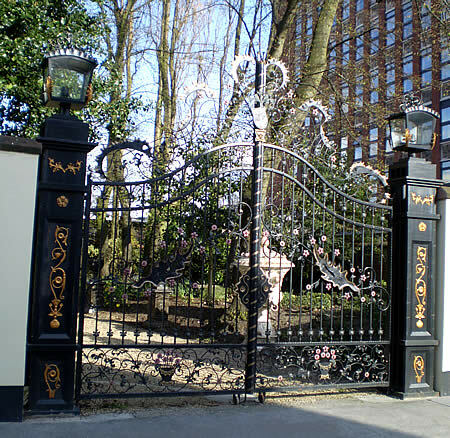 Specialising in the design, manufacturing and fitting of wrought iron gates and perimeter railings to both domestic and commercial customers we have built up a large portfolio from small garden gates to automated grand entrance gates for mansions. 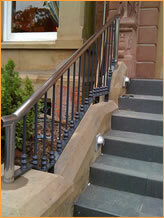 In addition gates and railings Munique Designs can design, hand craft and install a wide range of other metal pieces including staircases, signs, security grills and balustrades etc. We also work in Stainless Steel creating structural glass balustrade to stainless steel and balcony kits ideal for any domestic or the retail industry. For arrange for a free quotation or to discuss your requirements please call on 0773 3190 633 or contact us via the contact page.